Two months ago, few family friends in our group have started some fitness activities with this logo with the caption Till the Body Behaves – I always feel that it is not the right title, it should be mind rather than ‘body’. Anyways our initial goal is to achieve 10000 steps a day. After a week, everyone feels we should go for 12k per day. And of course people were very enthusiastic and doing 20k and above too. we all use different gadgets to track our progress. I use UP24. It tracks sleep too. It is so mean 😡- one day I was in a meeting from 2:30 pm to 4 pm and I was playing a very passive role – mere attendance – just listening to the people talk. Of course, I was so sleepy and was controlling very hard not even to yawn. After I returned back to my seat, the UP popped up a message on the phone checking whether I was sleeping from 3:30 pm to 4 pm, that mean👺I have set up a mental goal for my self to do atleast 10k, anything over it is a bonus and spend 30 min on the stationary bicycle and 10 min on the elliptical as they are very important for my knee problem. Then 10 days ago, Ramu has introduced My Fitness Pal (MFP)- a program could be used online and also used as an app – a calorie counter and diet and exercice journal/tracker (http://www.myfitnesspal.com/) into my life for which I am ever grateful to Baba and Ramu. I have synched that app with my UP app, basically I maintain my food jounal with it and track my exercices, sleep patterns, my fiber intake goal etc., with UP. I should say I am eating very healthy – more focus on fruit smoothies, nuts and bean soups with vegetables. Nonetheless to say, within a week I lost few pounds which has been so difficult for me to loose for months. Since I eat mostly home made food, I am creating my own recipes with MFP – enter all the ingredients (you can match them even with the brand name – even Indian grocery brands) and save the recipe with your own name (of course it does not take in consideration on the preparation of that dish, it is ok with me as I am not making any fried or deep fried foods), and it would immediately give all the nutrient info on line with FDA standards. Sometimes I am afraid to eat food as I need to enter it as approximately as possible. Another trick to loose weight 😜 if you are very true to yourself. If you do not take the required amount of food that day, it would warn you with all health hazards and it won’t project your weight for the next 5 weeks which it would on a normal basis, projects the weight in next 5 weeks if you would continue to follow the same way as you did that particular day. 😍 Very encouraging. for the past few days, when I am completing my diary for that day, I was getting very positive feed back on my projected weights which I hadn’t even noticed when I crossed them. 😂😂😂Such a nice feeling. 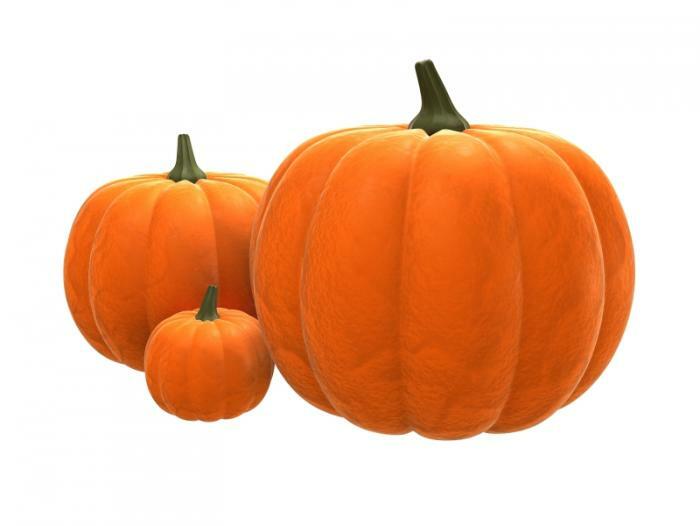 Pumpkin is an extremely nutrient dense food, meaning it is chock-full of vitamins and minerals but low on calories. Finely slice 1 small onion, and 1 Tomato. In a little extra virgin olive oil, saute onion, tomato and when well done, Add salt, dash of chilli powder/sambar powder, turmeric to taste. Once onion, tomato masala is done , saute the pumpkin Until raw smell goes. 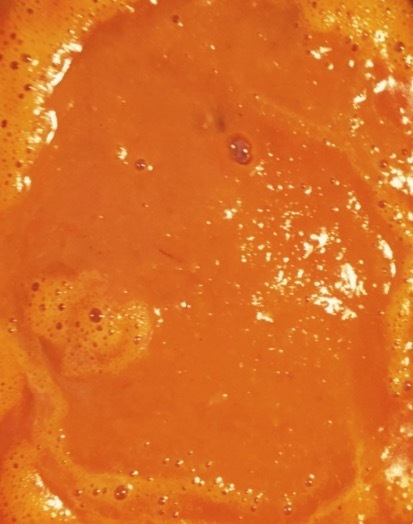 Sprinkle a little water and pressure cook until Pumpkin is cooked. Cool and puree finely. Add a little tamarind pulp and bring to the boil. For the past several weeks I have been prevented from having my regular routine – Zumba, pro step, once in a while Pilates, fluidity classes, with a lingering pain in my left leg. I am able to walk without much difficulty and was walking around 3 miles everyday, but not able to put any weight on that leg. I had ultra sound which came negative for blood clots and cysts, and then I insisted to have bone density test, and vericose veins to get tested. While I was waiting to get my bone density test results, I had a seen a physiatrist who had done another ultra sound and in vain in finding any major tendon issues but recommended to have some physio therapy sessions. But then we found out that calcium levels are not that good. I used to take calcium with vitamin D and have stopped for almost 8 months. So I am in a serious business looking for calcium rich foods besides taking 1200mg Calcium with 1000mg vitamin D.
Few days before I came to know about my calcium levels, I came to read an interview with Amala Akkineni. She was asked how she has been managing her calcium intake being a vegan (as milk and milk products are the best source of natural calcium) She revealed that sesame seeds are much better option than milk but they are not been marketed well. That interview came to my mind and I started researching on Sesame seeds and found this article which confirmed what Amala has told. we will be pleasantly shocked to know – Just a quarter cup of natural sesame seeds provides more calcium than a whole cup of milk. A quarter cup of raw natural sesame seeds has 351 mg of calcium while one cup of non-fat milk has 316.3 mg, and one cup of whole milk has only 291 mg of calcium. Plus, they are alkaline whereas milk is acidic. i strongly believe in things happen for a reason – my lingering leg pain made me identify my calcium levels – otherwise I would have broken my bones just by getting anxious – that is the severe consequence of osteoporosis- you might get fractures just by being anxious. I hope I won’t reach that state. Praying to baba 🙏🏻 to take care of me. Attended my first Zumba class yesterday. After my return from India, again I was looking for classes and suddenly one day I found a groupon coupon – 5 classes for $35. I immediately plunged into it. But this offer is available at Peart Studio – 8th Ave between 35 th and 36th Streets which is almost 1.6 miles from my home. Of course, I booked my first class for Friday, 20 April at 7 p.m. I reached the place around 6:45 p.m. I went to the 12th floor and the place is filled with people everywhere – like a fish market (very famous expression used in my mother tongue when a place is jam-packed with people and everyone tries to speak). My immediate instinct is return back home. But giving up is not my nature, and I feel really defeated when I don’t or can’t do the thing I wanted to do for any reason. So with a bold face, I walked through the crowd and met a coordinator and showed her my reservation slip. Then I waited in the corridor with many people for 10 more minutes until our room became available. But luckily, all the men waiting there are for another class. That gave me a huge relief. Somehow the idea of dancing in front of men is not very comfortable to me. Then the class started. I did not have a clue of what they do. I should have watched youtube videos on Zumba class rather than watching Smitha’s Ishana (just kidding). It was really killing energy. For the first 15 to 20 min, I was sweating hell and had to drink water after every song. I hope and wish that one day I could dance at least 50% of what my instructor did yesterday, She was a bundle of energy, She was fabulous. And I walked 4 miles (round trip) My knees were hurting very badly. I am afraid of going to my yoga class today. But I am a FIGHTER – I was able to do my yoga class without any problem and of course walked again 4+ miles. I remembered two movies after my class is finished. One is Santhosham – when Sunil says to Prabu Dev – “Bodylo rhythm ledu” and the second one is Ele Cheppanu – Brahmi in the gym – to show off he does all sorts of workouts and was unable to move his body later. That is exactly how I am feeling after yesterday’s experience. Anyways, I do not give up until I break something. After I finish my 5 classes, I must change the venue, should check the ones near my home. Feeling great and hope I stay as fit as I am today to be engaged in many more of these activities in the coming days, years – exploring the opportunities ….my husband must be always wondering what I would be up to every moment … and I hope he must be happy and proud that I have been engaging myself in all healthy activities – both physical and mental ! Many of you might have already known about the importance of this dal and also about Dr.Mendosa’s website. Actually Kameswari has recommended this site to me (I guess in 2006), when my husband got diagnosed with diabetes. You may think why am I bringing it to everyone’s attention at this point and some may even wonder whether I have diabetes – NO, I am not diabetic, but somehow for the last few days, I am eating boiled chennadal (not completely boiled, but boiled enough) + with some vegetable/s of my choice as a snack and it is very filling, so I remembered its nutritional value and medicinal value too and thought of sharing with everyone I care about. 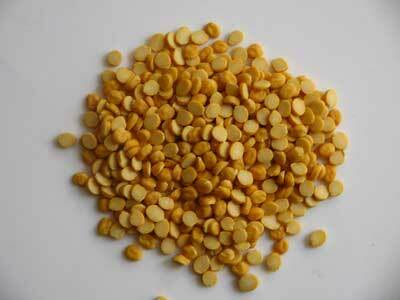 With its low glycemic index, channadal is the staple food for any one. The glycemic index is about the quality of the carbohydrates, not the quantity. When you make use of the glycemic index to prepare healthy meals, it helps to keep your blood glucose levels under control. This is especially important for people with diabetes, although athletes and people who are overweight also stand to benefit from knowing about this relatively new concept in good nutrition. Especially for people with diabetes, I strongly recommend this food in some form or other everyday. You can read more about it at Dr.Mendosa’s website and at the very end of the home page, we can find innumerable recipes. My favorite recipe of Channa dal (which my mom used to make and I loved it when I was a kid) – I’ll add it in my recipes section soon. Two days ago, when I was working with my student at Literacy Partners, I overheard the lecture of another teacher to her class – the importance of having breakfast, and the only words I could hear are metabolism and yogurt. Then I decided to have a regular breakfast which I normally skip for various reasons – I take my whole grain bread sandwich with tofuti and cardamom tea to office. I slowly sip my tea while I work, but I normally eat my sandwich almost at the time of lunch, usually after 11 a.m.
Breakfast is important because it affects your metabolism. If you miss breakfast, your body has to use stored energy to perform, taxing your system and telling your body to store more fat in the cells. It tells your body that if we get fed less, we should store more food as fat. Eating breakfast reduces your hunger later in the day, making it easier to avoid overeating. When you skip breakfast, you may feel ravenous later and be tempted to reach for a quick fix, such as candy from the vending machine. In addition, prolonged fasting — which occurs when you skip breakfast — can increase your body’s insulin response, which in turn increases fat storage and weight gain. In fact, skipping breakfast actually increases your risk of obesity. Eating breakfast gives you energy, increasing your physical activity during the day. A healthy breakfast refuels your body and replenishes the glycogen stores that supply blood sugar (glucose). Skipping breakfast is associated with decreased physical activity. leftover rice mixed with yogurt, dried fruit, and nuts, sprinkled with cinnamon. While any breakfast may be better than no breakfast, there are some foods you might want to avoid because they’re high in sugars, sodium, saturated fats and calories. Cut back on sugary cereals (over 5.0 grams per serving), high-calorie pastries, and meats like bacon and sausage those are high in saturated fat and sodium. Breakfast should include protein and plenty of fiber; the combination will help satisfy your hunger and will keep you feeling full until lunch time. The protein can come from low-fat meat, eggs, nuts or dairy products. High-fiber foods include fruits, vegetables and whole grains.